A dynamic group of young professionals from South Asian communities in Auckland and Hamilton are making short films to raise awareness and encourage honest and fearless conversations around issues like domestic violence and depression in their communities. Chiropractor and actress, Dr Sarkaw Mohammad, and businessman, Jay Randhawa co-founded the IAMHE(R) Charitable Trust two years ago. The purpose of the Trust is to combat stigma of all kinds in their communities by educating and training people, particularly women, youth about ways to confront and manage challenging issues. They’ve already made films on depression and prostate cancer in eight different South Asian languages using actors from those communities. Their latest offering is Log Kya Kahenge, a primarily Hindi language film produced specifically for New Zealand’s large Indian community. 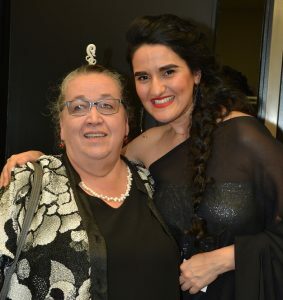 It raises awareness of family violence, both physical and emotional, and challenges its audience to speak out about their own experiences and speak up when they see it happening to others. Sarkaw has a leading role in the film as a victim of physical abuse. She says that although domestic violence occurs in all cultures, migrants need to take responsibility for transgressions in their own communities and look at the ways some of their traditional and cultural practices are preventing victims of domestic abuse from receiving help. The film’s title translates as “What will people say’’. Sarkaw says this statement goes to the heart of the issue for many women and children in migrant communities. Sarkaw talks of a good friend of her mothers who committed suicide after enduring years of psychological abuse from her husband. 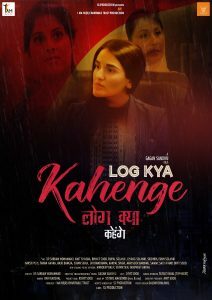 Reactions to Log Kya Kahenge from across the all communities have been uniformly positive. 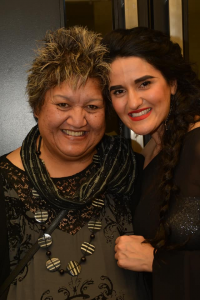 E Tū Whānau kaimahi, Ann Dysart who was asked to speak at the recent launch of the film in Hamilton, said it was yet another example of people from Aotearoa’s refugee and migrant communities taking responsibility for the positive changes they want to see. “It’s particularly encouraging to see so many young, smart people taking their place alongside their fellow New Zealanders and living the values we all aspire to.